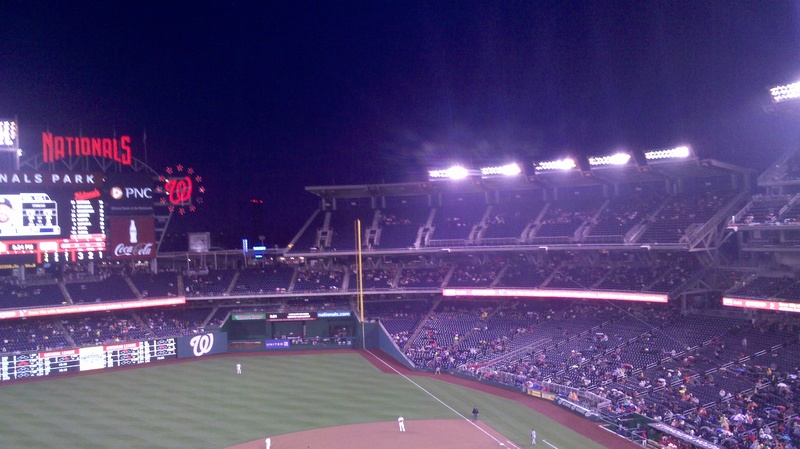 Fans thought Bryce Harper was coming out for a curtain call, but he was really just pointing to a cloud so he could prove to his teammates that he knew what a cloud was. 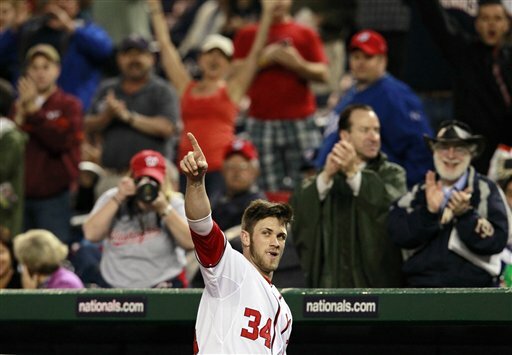 Bryce Harper: 1-4, HR, RBI, R, K. Who else? DC’s Dynamic Douchebag finally hit the first of what will hopefully be a number of home runs so large that we have to invent a new numerical system to write it without frying whatever computing device it’s written on. Henry Rodriguez: .1 IP, 3 BB, Hold. Great Hold, Henry Rodriguez. You are likely to be getting a lot more of those in the future and a lot less of anything that anyone cares about. Wow. I can’t believe I was there to see it. They say you never forget the first time, and I’ll certainly never forget this moment. Everything else that happened in the game will soon be lost to history, but not this. And what a scene! Literally hundreds of people in the crowd going wild. 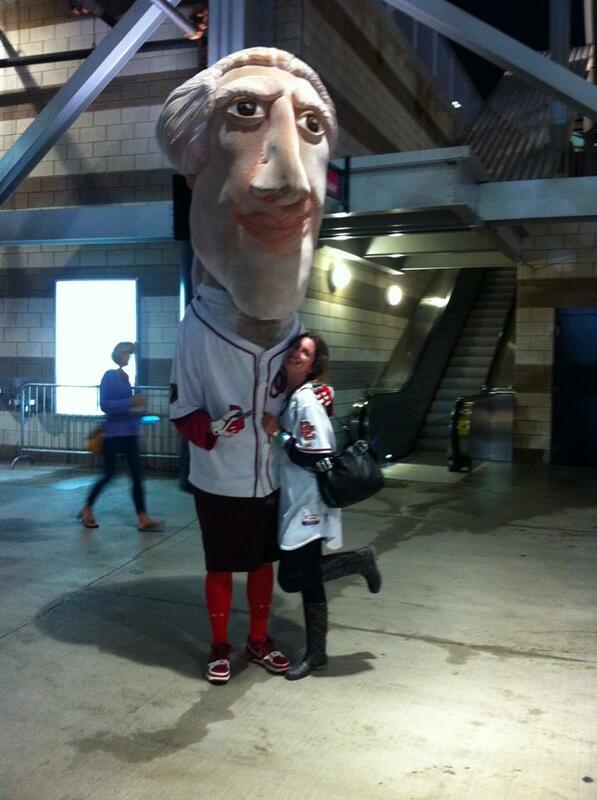 Nationals Park erupting with the jubilation that it had long been longing to feel. I looked around after it happened, knowing that not just I but everyone around me would cherish this memory for a lifetime: Sean Burnett’s first save of the season. This is one of the places Sean Burnett looked before throwing the pitch that induced the double play that got him his first save of 2012. 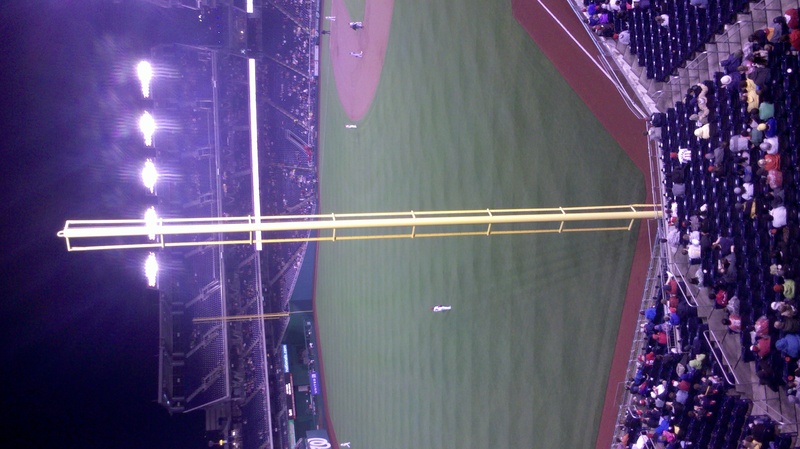 Of much lesser importance, some rookie hit his first major league home run and it landed here. It was a very rainy evening, which this picture demonstrates if you squint a lot. Sadly, the rain diminished the number of people who were able to witness history in person. But you know what they say: May showers bring May Sean Burnett saves. 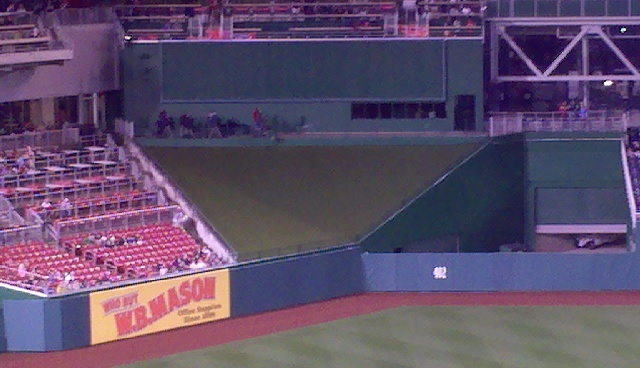 This was the left field foul poll used in the game when Sean Burnett earned his first save of 2012.